All metal construction. Lamp numbered with a riveted firm plate. 3 interior finishes Silver, White or Gold. The cord is always in the interior color. 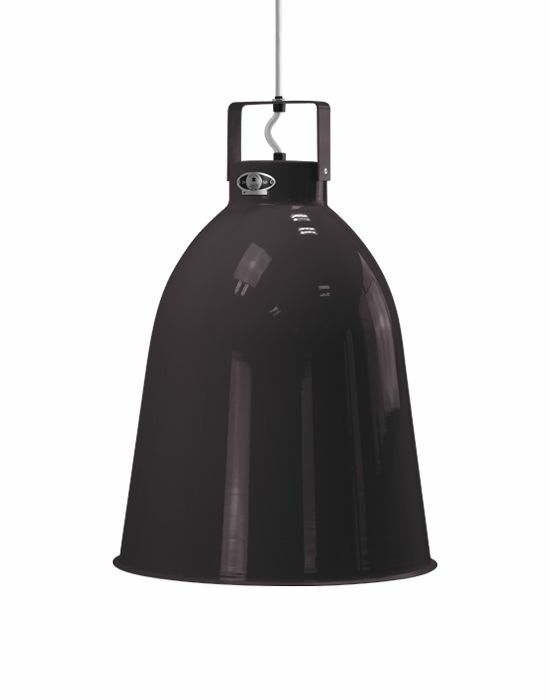 The Clement is an industrial pendant available in a wide range of colours. Originally designed in 1950 as a workshop light, Jielde's wide range of formats and colours soon established them as a favourite with domestic users. Robustly constructed in cast metal, adjustable in all directions, with a distinct, individual personality, their appeal remains undimmed. The following Jieldé colours are not available in a matte finish: Pearl gold, silver grey, black hammered, copper hammered.